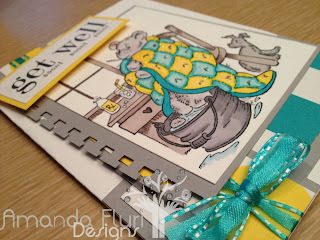 Cards by Amanda Fluri Designs: Teal, Grey and Yellow! Last week in trying to challenge myself I posted on my facebook asking for my fans help. I know that there are websites out there that will give you 3, 4, 5, etc colour swatches at random. I asked my fans what colours they would like to see me make cards using that I don't commonly or have never used. I got a few suggestions, however would love it if you would take a moment to pose a couple suggestions for a 3 colour pallet in the comments below on this post. 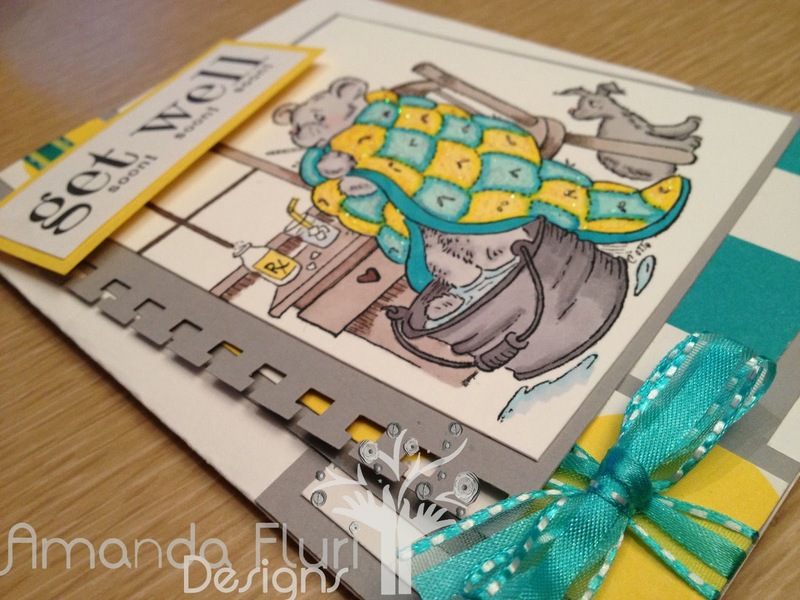 One of the requests was to see a card done in teal, grey and yellow. Below you will see the card that I posted in these colours. Similar to what I had said in the previous post about trying to challenge myself. I went and picked the papers first and then coloured the image with promarkers after the papers had been selected. I would love to know what you think of my cards, and what you would like to see from me in the future. Thanks for your patience as I get used to the posting process, and what "blogging" is like. This is a side shot! 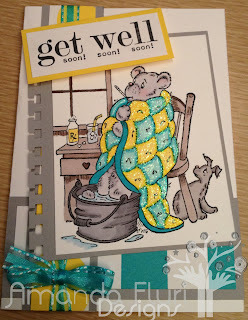 Hopefully it allows you to see the different layers, heights of layers, embellishments and even the glitter thats added. Happy Stamping and Cardmaking and hope everyone is enjoying their weekend!